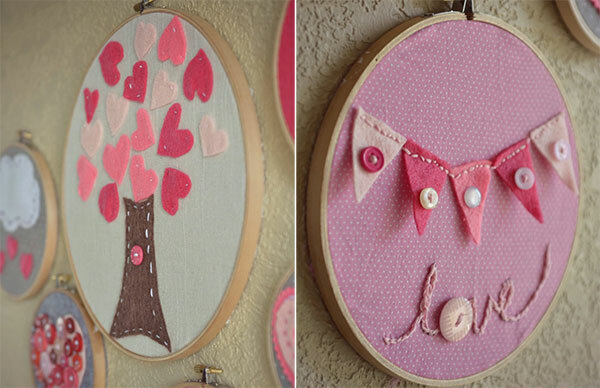 For the love of craft, we give you 11 adorable DIY Valentine's Day activities! 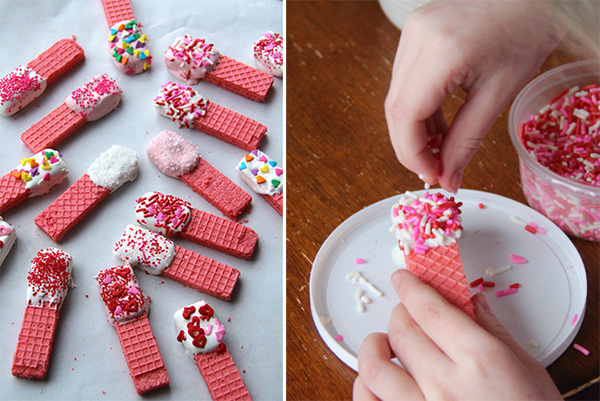 For the love of craft, we give you 11 adorable DIY Valentine’s Day activities! We’ve done the hard yards for you Babyologists, scouring the web for the cream of the crop of DIY Valentine’s Day crafts and activities. Yep, that’s how much we love you! So whether it’s gifts for the kids to make or something sweet just for you, we guarantee there’s some stellar DIY fun to be had! 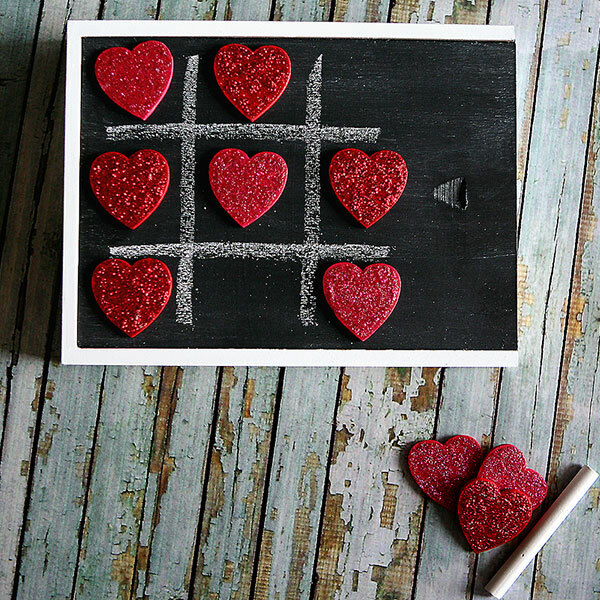 A sweet coffee table addition, this Valentine tic-tac-toe game can be created in an afternoon or two. The clever crew at Eighteen25 give a full tutorial and list of materials to get you started! If the way to your lover’s heart is through their stomach, we’ve got the recipe for you! 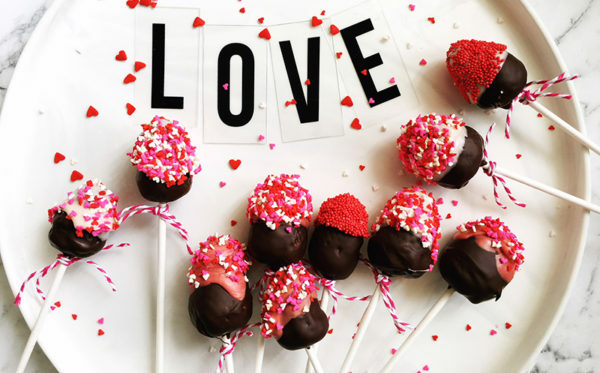 It takes just minutes to create these adorable Valentine’s Day Choc Dipped Strawberry Pops. 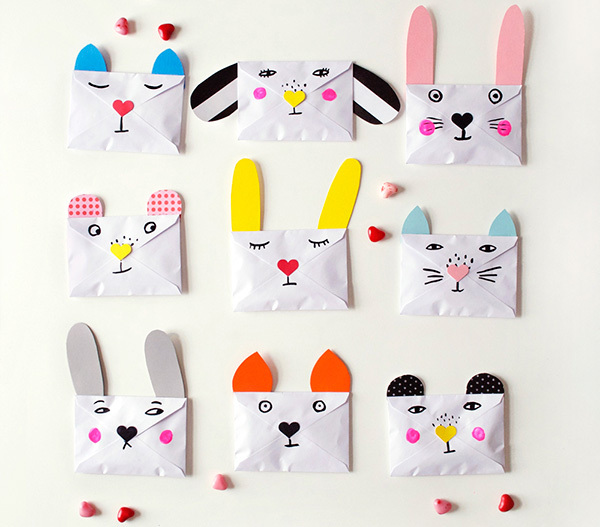 Equally cute and great for when a handful of Valentine gifts or cards are required, Lia Griffith has the perfect solution in her cute animal Kids Valentine’s Candy Huggers. 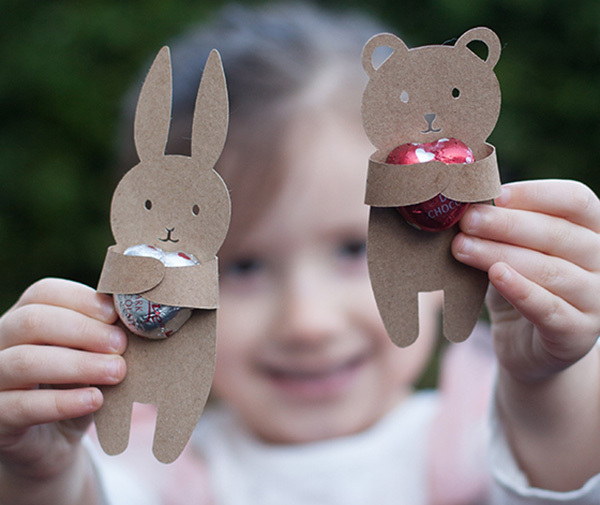 After you’ve secured your chocolates at the supermarket, head to her gorgeous blog and download the template for free. 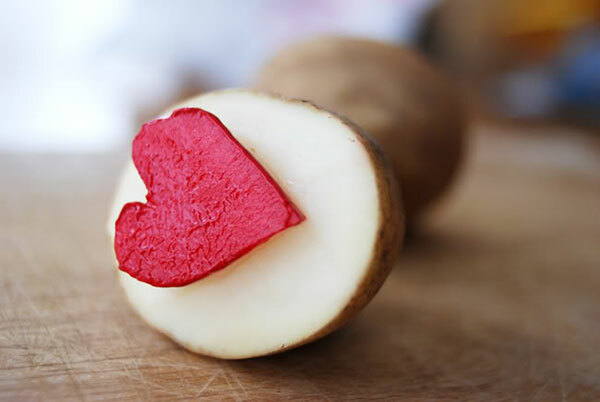 Family Fresh Meals show us that even the youngest of kids can get in on some kitchen Valentine’s Day action. Simply dip a strawberry wafer biscuit into melted chocolate and decorate them – perhaps take into account a few eaten ones along the way. A perfect gift for the grandparents, let your tot go to town decorating, pop them in a cellophane bag and attach a pretty ribbon and tag. Happy Valentine’s Day, Grandma and Grandpa! I know some people like to go all out for these special days in our calendar, decorating their homes in the special day’s theme. 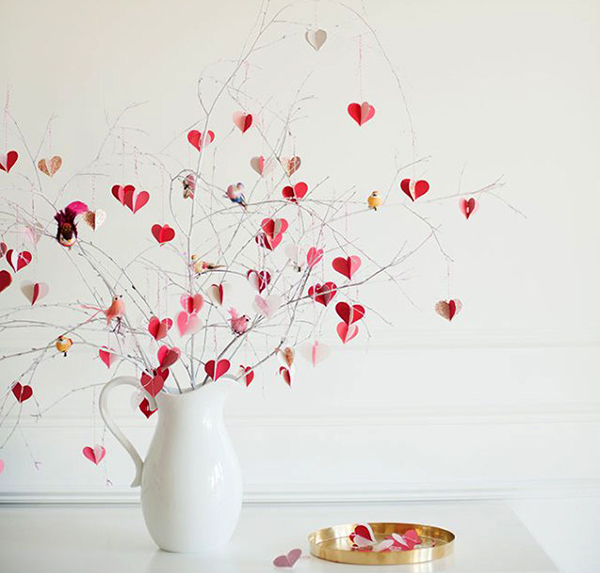 One way to do that is with a gorgeous Valentine’s Day Tree, such as this beauty featured on The House That Lars Built. 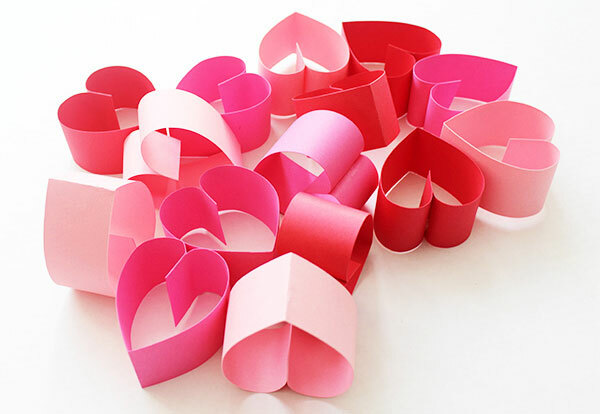 Use your imagination in how you can use paper hearts – join them together paper chain style, thread them to make a sweet garland or make a swoonworthy DIY Heart Wreath to adorn a door. 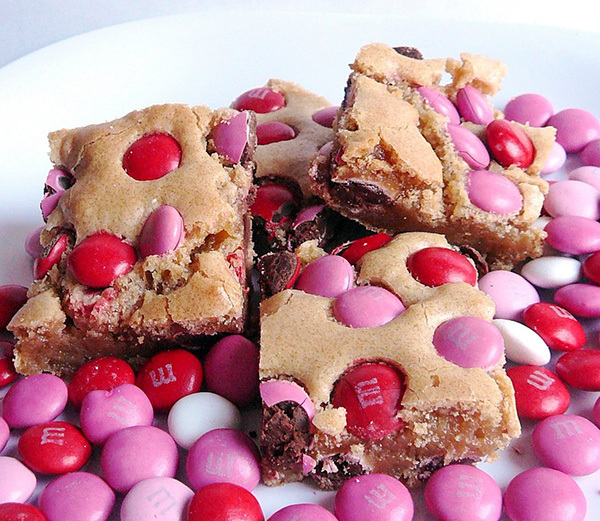 Looking forward to a sweet treat on Valentine’s Day? Baked Perfection‘s Brown Sugar Blondies look to fit the bill perfectly, so much love I have for both chocolate and the soft doughy texture of a Blondie. Sigh. Be sure to pin the recipe to your Pinterest board if you want to give it a go! Preschoolers love nothing more than being armed with a paint brush so they’re sure to delight in painting a few rocks for fun. 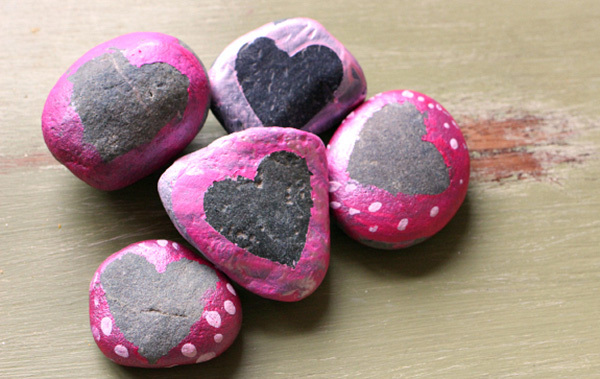 Creating a set of Love Rocks is an easy activity and will definitely add a dose of cute to your usual decor. For all the details on how to create hearts on rocks, head to No Time For Flashcards. Let’s not forget how much fun potato stamping is either. Noe Place Like Home created beautiful bright cards using the humble spud and paint – the kids could be busy for quite a while stamping canvases, cards and even wrapping paper with love! Older children can develop some pride in their stitching skills with this adorable Valentine’s Embroidery Hoop Art project. If you lack embroidery skills, don’t fear – you can find a full guide at Living Well Spending Less, providing a handy how-to on all the stitching basics you need for the project.